Pakistani football team that is in Palestine for friendly matches paid a visit to Al Aqsa mosque on Thursday 15th, This mosque is situated in the old city of Jerusalem which is under Israeli control. According to the details the players were on way to Al Ram city, a Palestinian town after landing in Amman Jordan, when they visited the Holy Mosque Al Aqsa and offered prayers. Earlier Executive Director of the Palestine Football Association (PFA) Firas Abu Hilal received the team. Pakistan National Team players visited Al Aqsa mosque yesterday ahead of their much awaited match against Palestine which kicks off at 6:00 PM today. The visit came as a surprise for many as the area of Jerusalem is in Israeli control. Pakistan do not recognize Israeli state since the independence from the British empire in 1947. This has also been clearly mentioned on the passport that it is " valid for every other country of the world except Israel". Weeks earlier another speculation surfaced that an Israeli Business jet routed via Jordan had landed in Pakistan which infuriated many. However the PTI led government have repeatedly denied such reports. 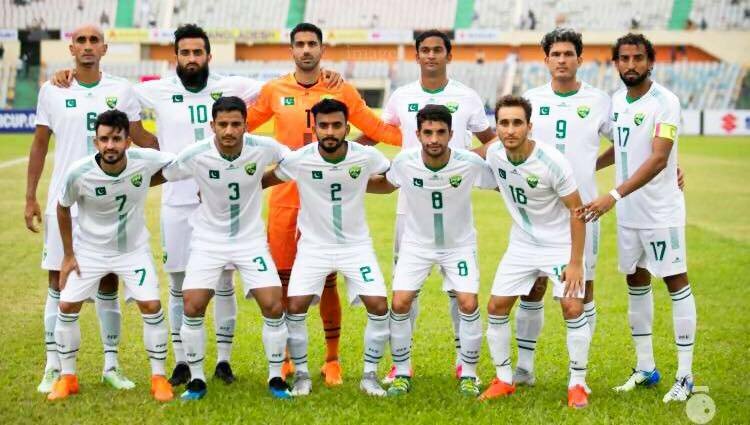 Palestine beat Pakistan by 2-1 in the friendly match played yesterday. Pakistan team will play their second match with Tajikistan on Tuesday 20th November.